PHOENIX, Ariz., Sept. 12, 2016 (SEND2PRESS NEWSWIRE) — In September, the Department of Veterans Affairs (VA) launched its Be There campaign on its website to educate Veterans, Service members and those who care about them, of the vital role they play in preventing suicide. The campaign aims to raise awareness about behavioral health issues concerning our nation’s Veterans, and encourages loved ones to Be There. “As a partner to VA, TriWest’s sole line of business is to ensure our nation’s Veterans get the health care they have earned and deserve. We proudly stand in support of VA to keep the trajectory moving on this important initiative for the behavioral health care of our nation’s Veterans,” said Dave McIntyre, Jr., President and CEO of TriWest Healthcare Alliance. Veterans and Service members have a valuable connection to resources and support through VA’s Be There website and the Veterans Crisis Line. To learn more, you are encouraged to visit VA’s Veterans Crisis Line website: https://www.veteranscrisisline.net/. The Be There website provides a wealth of knowledge about how you can support a Veteran or Service member. Whether it’s a phone call to the Veteran’s Crisis Line, checking in with a veteran to see how they are doing, assisting him or her with community resources, meeting for coffee, being a gym buddy or bringing a Veteran a meal to show you care – a simple act of kindness can help someone feel less alone and can save a life. “Reaching out to a veteran is the most important thing anyone can do,” said Dr. Blake Chaffee, Vice President of Integrated Health Care Service, TriWest Healthcare Alliance. These are thoughtful actions that show support of Be There. Veterans, Service members, family members and health care providers can call the Veterans Crisis Line at 1-800-273-8255 and Press 1, or send a text to: 838255. 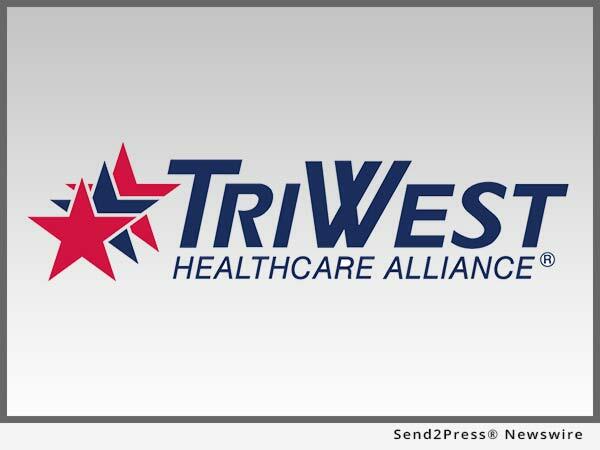 TriWest Healthcare Alliance serves our nation’s heroes as the partner of the Department of Veterans Affairs in administering the Patient-Centered Community Care (PC3) and Veterans Choice Programs (VCP). TriWest has been On a Mission to Serve® America’s military families and Veterans since 1996 delivering award-winning customer service and providing access to high-quality health care. The company’s official website is http://www.triwest.com. "We proudly stand in support of VA to keep the trajectory moving on this important initiative for the behavioral health care of our nation's Veterans," said Dave McIntyre, Jr., CEO of TriWest .